It's been ages since I've posted anything on urban agriculture, and it's long-overdue... I realize my neglect after spending a bit of time sifting through some research in finishing up the SDAT report text, as well as in preparation for a submittal for the first issue of [bracket] journal with the theme 'On Farming'... which is an open-ended exploration of it's fascinating the preponderance of visions and thinking on urban agriculture - just take a trip through the blogosphere in the past twelve months, and the overload of urban agriculture will quickly sink in. 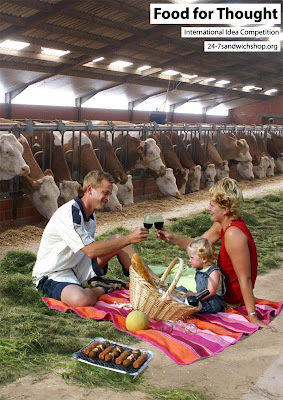 Another ideas competition from 24-7sandwichshop.org offers some interesting juxtaposed scenery - in this case a feedlot with a family picnic - on their announcement for Food for Thought: "Idea competition inviting you to submit proposals for new ways of providing, presenting and eating food. A new recipe, a new type of restaurant, garden, farm, table, convenience store, city___anything is possible." 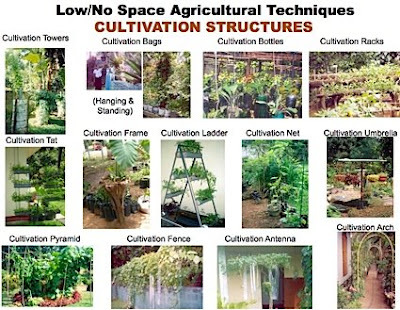 Back to the profligate nature of urban agriculture in todays thinking... it's interesting to see how much stuff there is out there from the ridiculous to the sublime, from the Haeg to the Despommier - whether research or books or programs or just random thoughts. It's hard to keep up with for sure - not that there is a preponderance of good info - just a lot more agro-noise floating around. Sifting through it and making sense of it is much more difficult. All in all thought - a positive trend. There are definitely some vertical gardening inspiration here in these models - using the low-tech to inspire the high-tech. 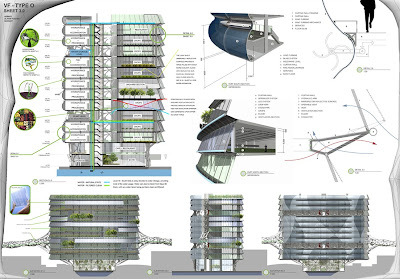 And speaking of 'high-tech', there's plenty of new models coming forth from the Vertical Farm Project, including these new ones called "VF - Type O" by Oliver Foster, from the University of Queensland, Australia. Getting back to the idea of using low-tech to inform the high-tech (or just merely using the insane notion of going back to low-tech...) many countries throughout the world have strong urban agricultural precedents, including recent info from the Philippines, Zambia, the UK, and of course, one of the true models of sustainable urban agriculture - Cuba. 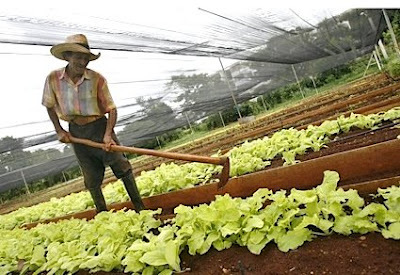 A recent article from Havana, via Reuters, is looking into the Cuban resurgence of urban agriculture after successive waves of hurricanes decimated the almost a third of Cuba's plantings. Via the article: "Around 15 percent of the world’s food is grown in urban areas, according to the U.S. Department of Agriculture, a figure experts expect to increase as food prices rise, urban populations grow and environmental concerns mount. ... Since they sell directly to their communities, city farms don’t depend on transportation and are relatively immune to the volatility of fuel prices, advantages that are only now gaining traction as “eat local” movements in rich countries." The key is to utilize as much space as possible for productive uses. "In Cuba, urban gardens have bloomed in vacant lots, alongside parking lots, in the suburbs and even on city rooftops. They sprang from a military plan for Cuba to be self-sufficient in case of war. They were broadened to the general public in response to a food crisis that followed the collapse of the Soviet Union, Cuba’s biggest benefactor at the time." This using of every spot of land allows Cuba to be flexible in adapting to natural disaster and economic downturns, such as when Soviet support diminished and large state-run agricultural programs were not viable due to the high fuel costs. Thus growing food in parking lots and rooftops starts to make financial sense as well. And speaking of rooftops, some new research on hydroponics is coming out of California Polytechnic University, as well as some interesting gardens coming from land-strapped Tokyo - which has been evolving rooftop agriculture to a new degree, for multiple benefits. While farming is typically related to production of food - that is only one of the benefits that drives these new rooftop gardens in Japan. One is job production, the farms providing employment for young people that have lost other available means of making a living. 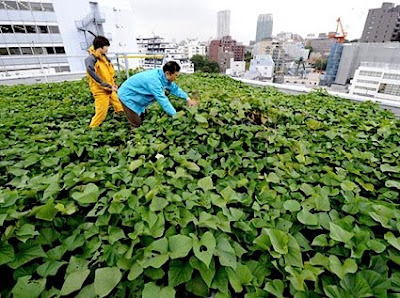 Another is the reduction of heat island effect, which is a major driver in green roofs in Japan, so it makes sense that rooftop gardens would be a valuable addition as well. And compared to lower maintenance extensive ecoroof typologies, these urban food gardens may work better, due to a more appropriate type of vegetation. 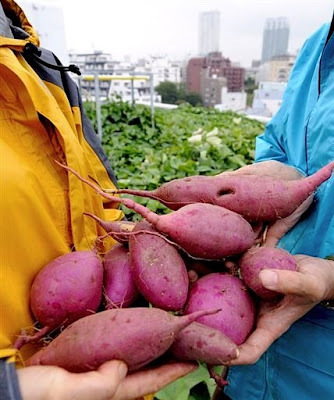 The rooftop shown above, for instance uses sweet potatoes, which are "...particularly good for roof- tops because their wide leaves can cover the whole surface and are efficient at transpiration — evaporating water — which has a cooling effect. The temperature of a roof area not covered by potato leaves was as much as 27 degrees Celsius hotter than an area covered by the leaves..."
These plants are then, yes, harvested and distributed locally, which eases concerns about food safety, uses less fuel, and allows for a true connection to local food, particularly important for a country that imports over 60% of it's food. The future of farming may just be looking up. There are also some intriguing new resources out there as well, including some new books. 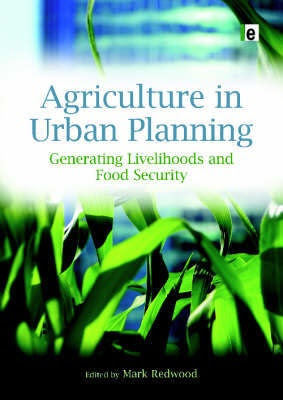 First is called 'Agriculture in Urban Planning' and is edited by Mark Redwood, a senior: "This volume, by the world’s leading experts on urban agriculture, examines concrete strategies to integrate city farming into the urban landscape. Drawing on original field work in cities across the rapidly urbanizing global south, the book examines the contribution of urban agriculture and city farming to livelihoods and food security." And an interesting research paper by Adam Brock, called "Room to Grow: Participatory Landscapes and Urban Agriculture at NYU" which has some vital parallels that can inform urban agriculture. Particularly, not a lack of land, but the need for a loosening of central control of property and land: "Techniques such as edible landscaping and distributed gardening further add to the physical potential for urban agriculture on campus. 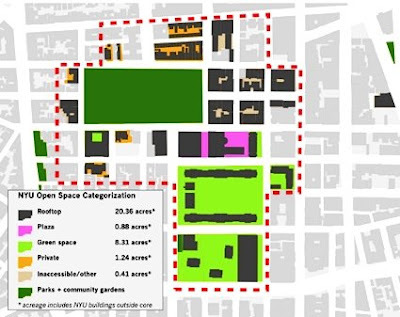 The greatest challenge to cultivation at NYU comes not from the landscape itself, but rather from social forces such as centralized ownership structures and historic preservation." 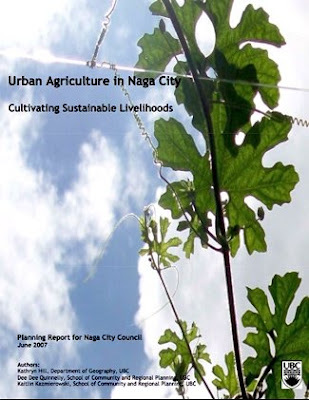 And finally, a research report called "Urban Agriculture in Naga City, Philippines - Cultivating Sustainable Livelihoods" prepared by a trio of academics at the University of British Columbia. The report investigates. While some of us have probably over-indulged in a literal sense over the holidays, there is plenty of good information out there to feed your brain instead - have seconds... enjoy.